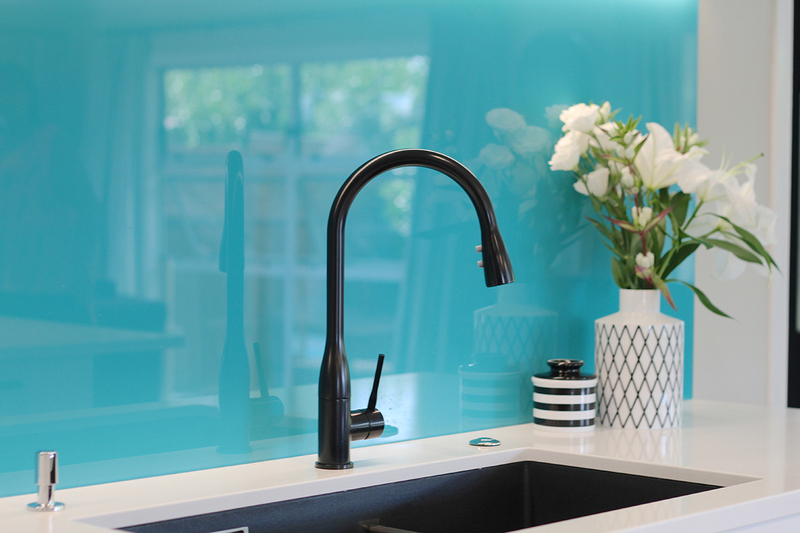 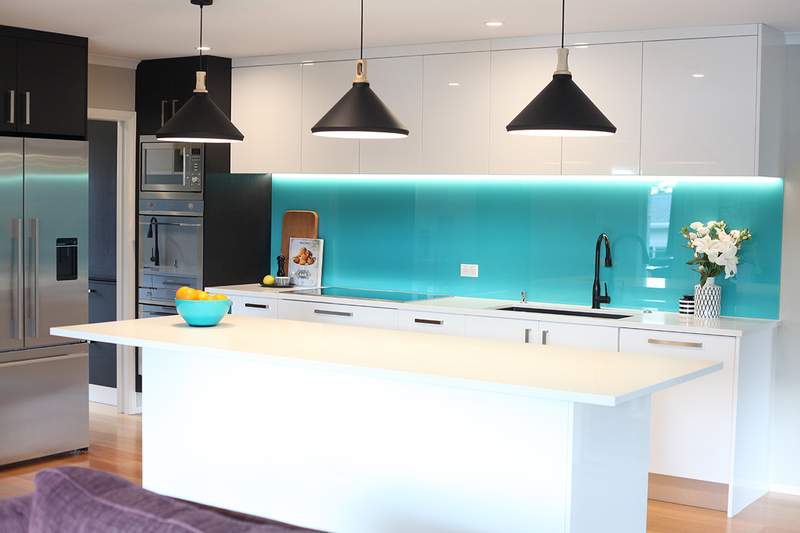 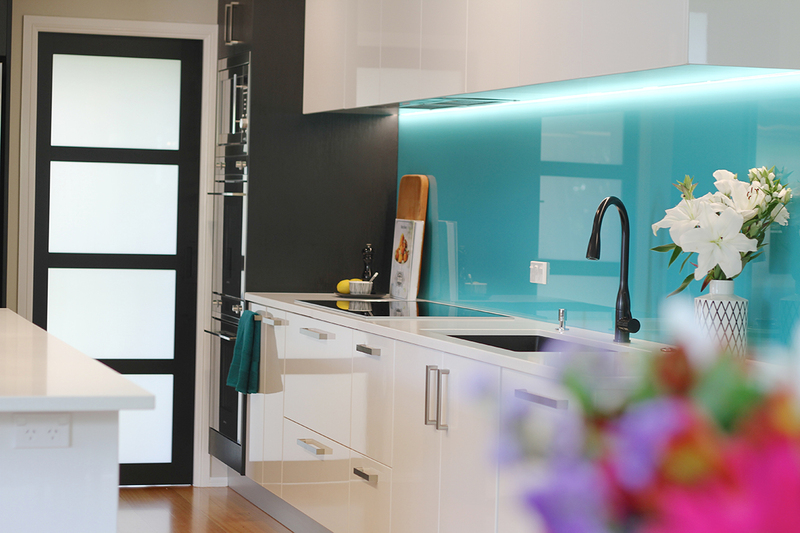 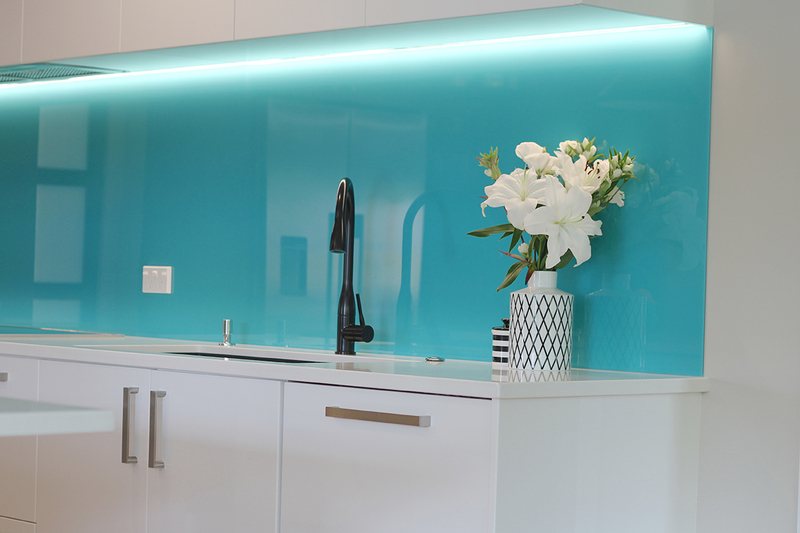 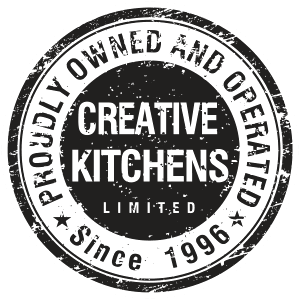 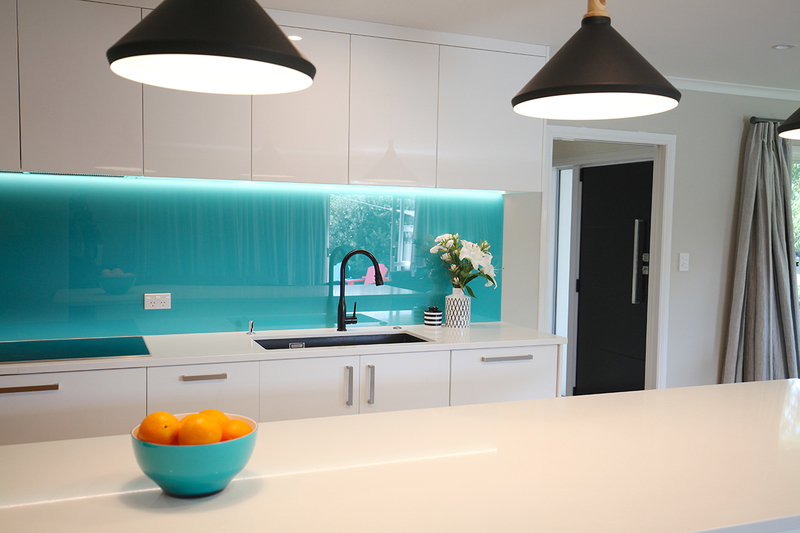 Creative Kitchens has completed a kitchen-plus-scullery design and build as part of a major renovation at a Mt Roskill, Auckland, property. 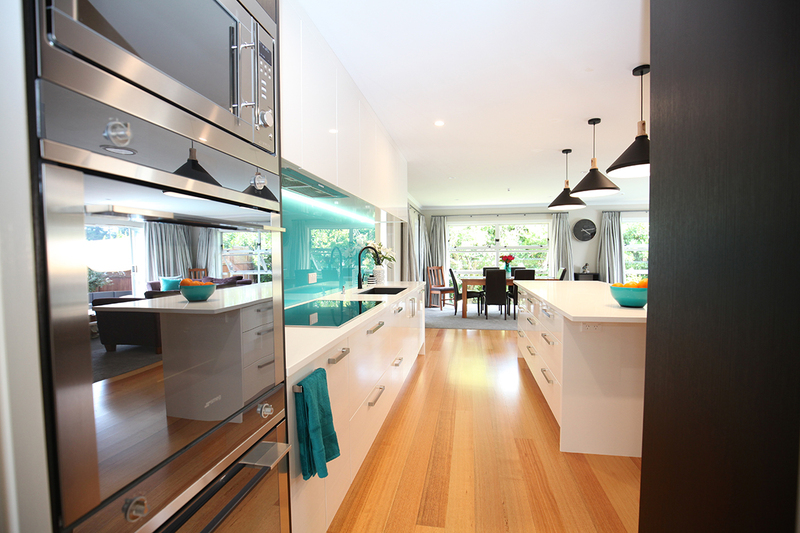 The aim was to open the kitchen to the living areas, for a family of foodies. 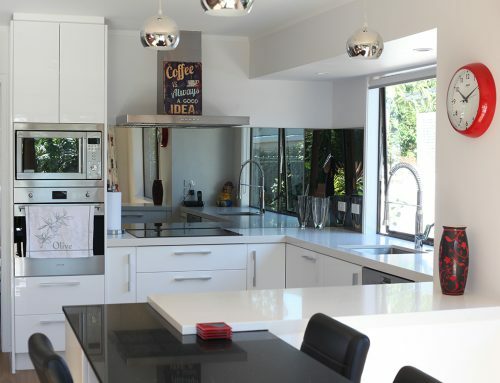 Designed for family with teenagers, all of whom love cooking, baking and entertaining, and have various dietary needs. 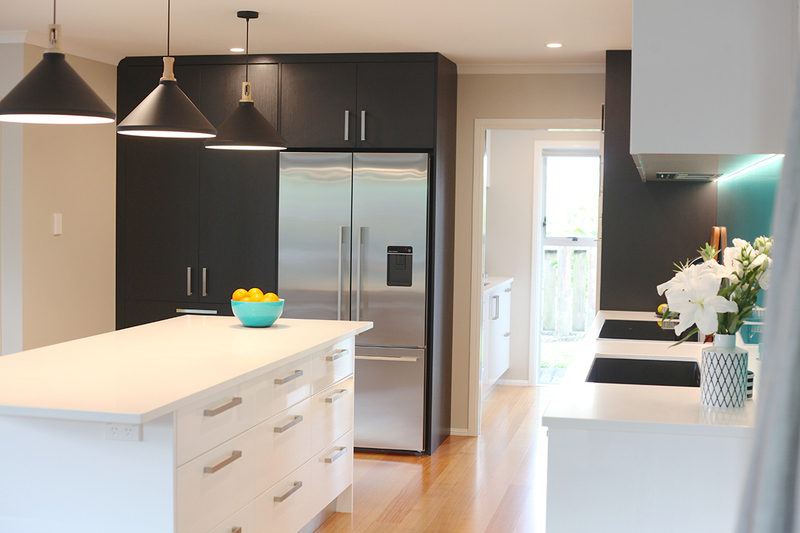 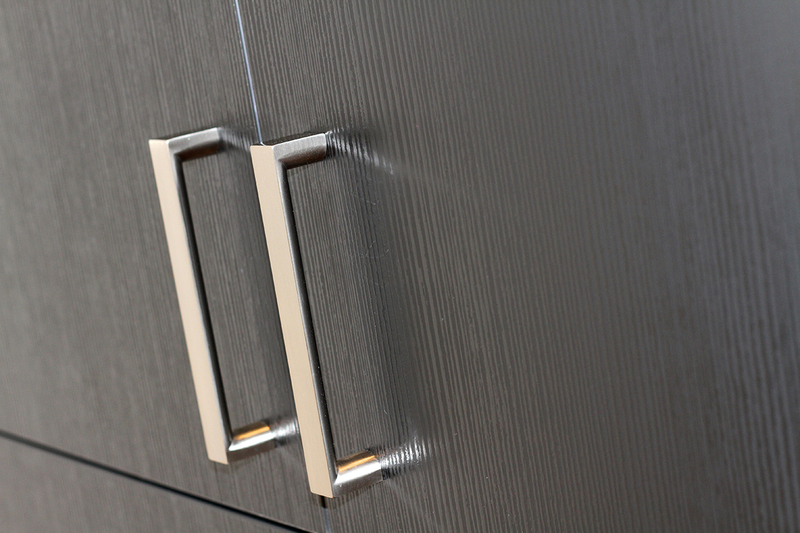 Cabinetry finish is Dezignatek Carribean White Gloss and Black Melamine with Rift finish. 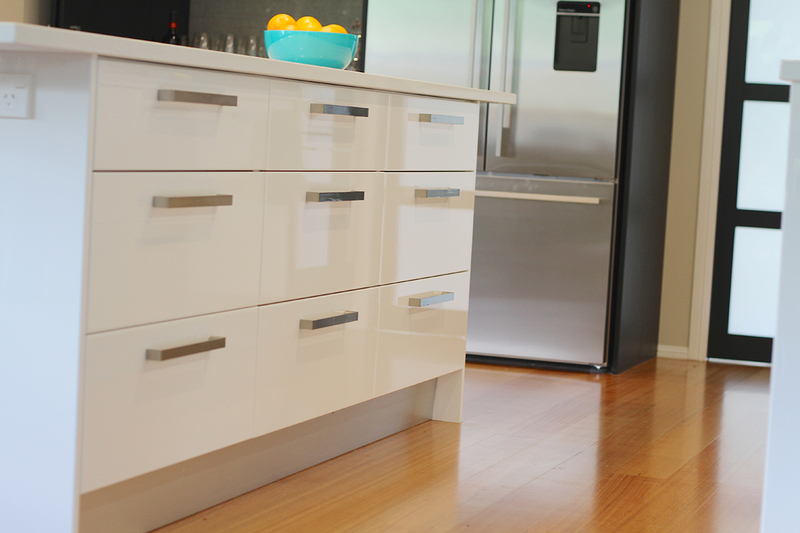 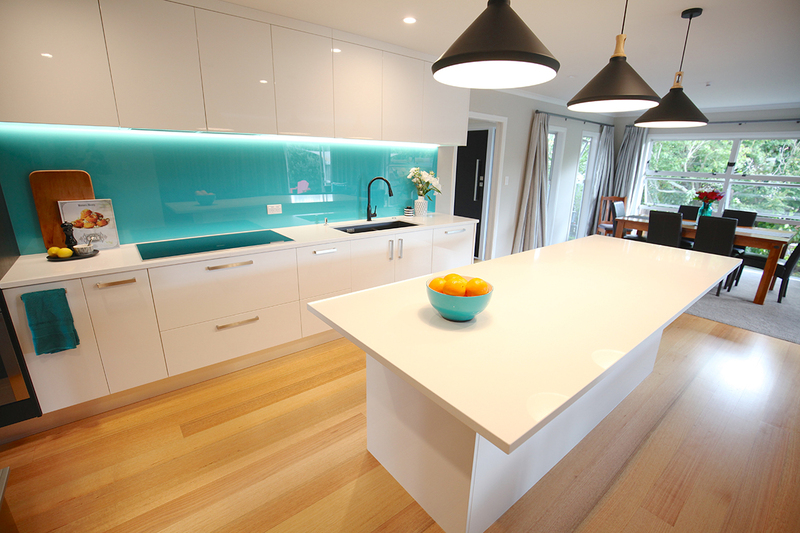 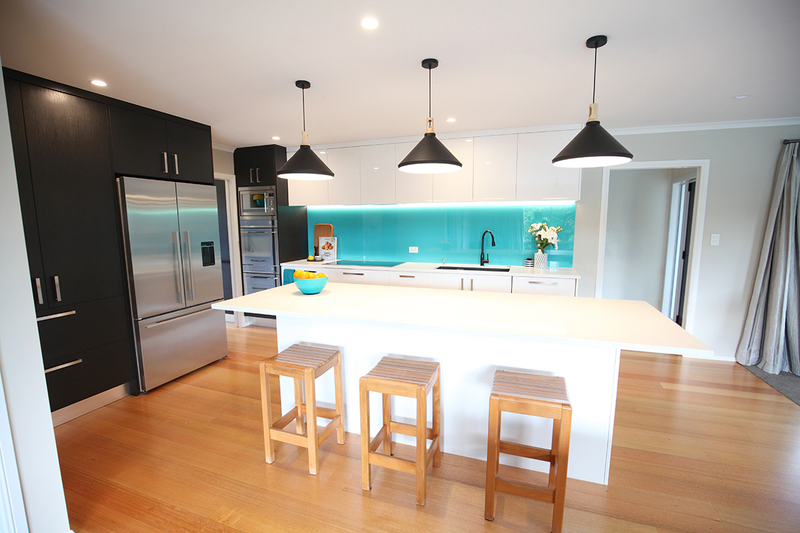 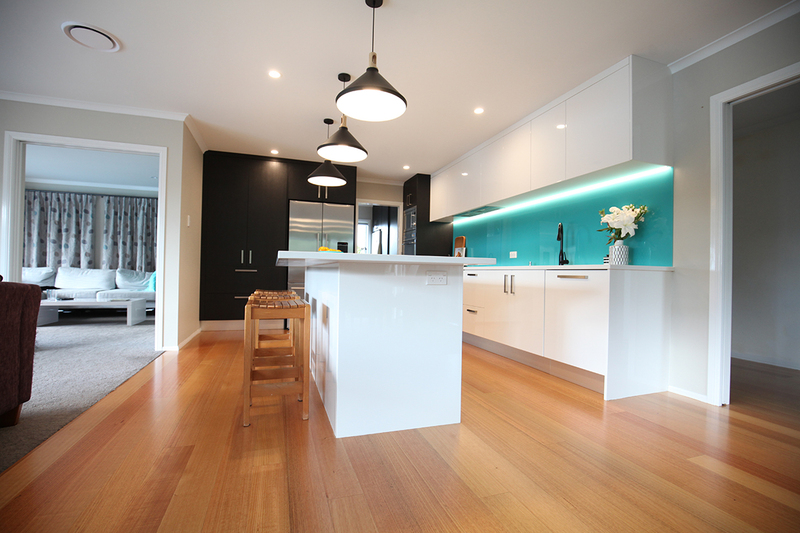 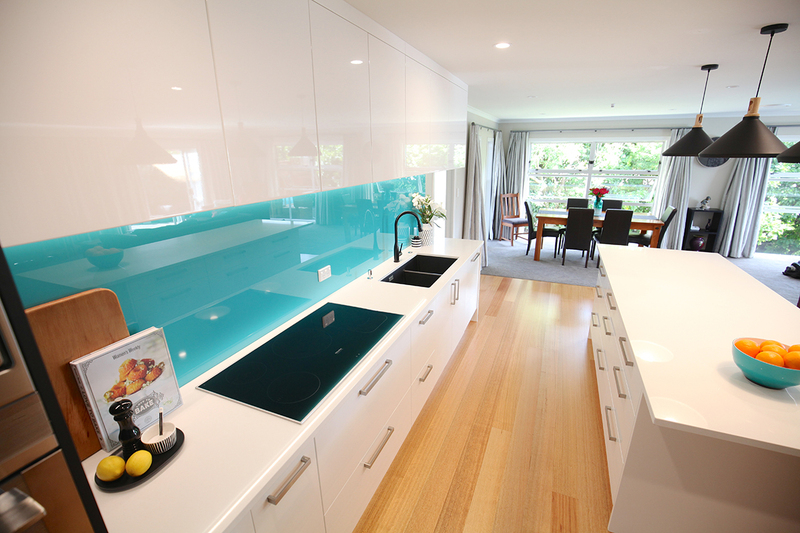 The Benchtops are Primestone Papamoa. 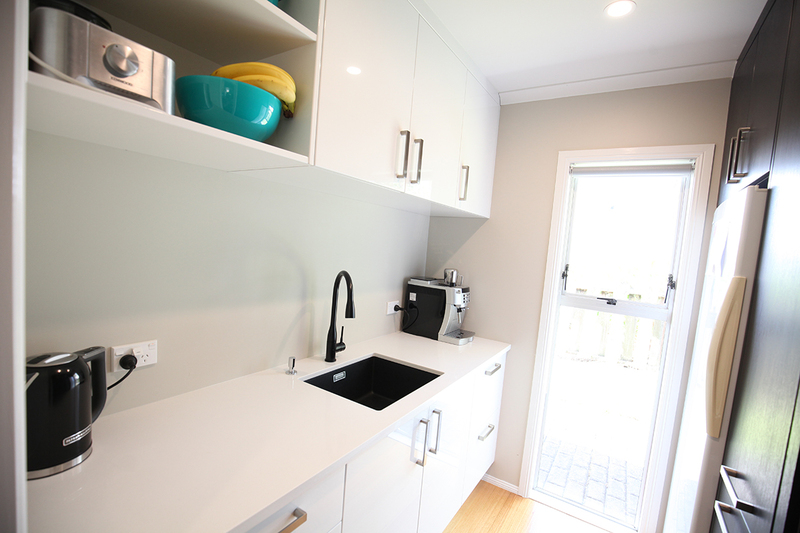 For the sinks hardware we have selected Hafele Anthracite Blanco bowls with pop up waste (and wastemaster with airswitch in main sink). 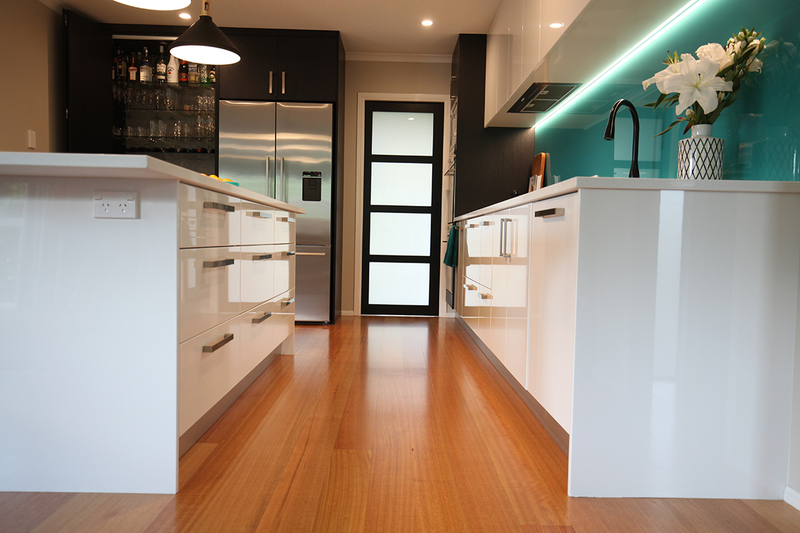 Aluminium extrusion toekicks have been installed. 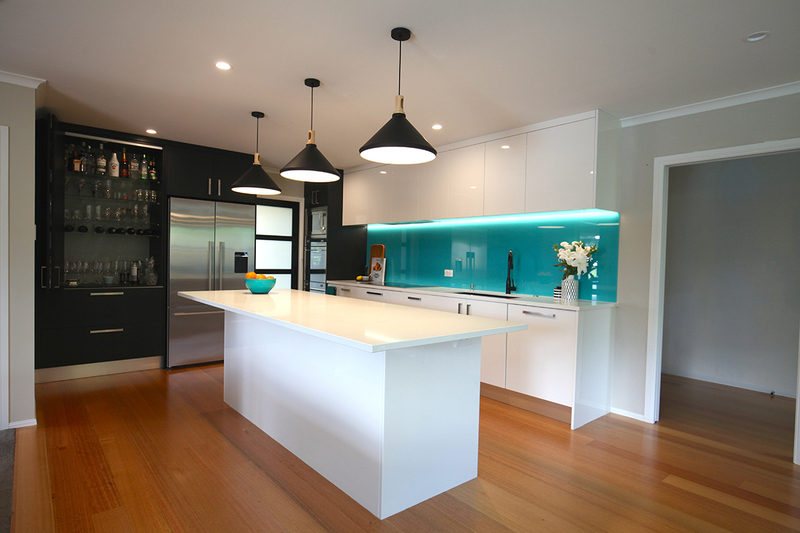 The island workbench includes seating around 3 sides for large groups (ideal for accommodating the family’s social teenagers and their friends). 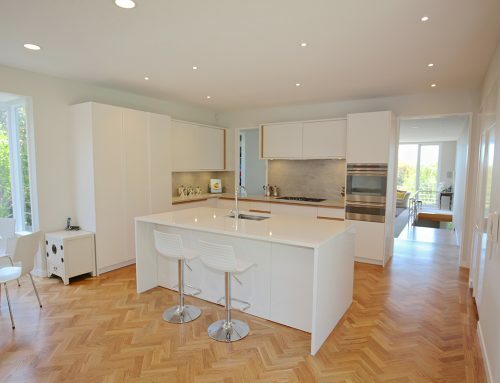 European made Smeg cooking appliances (two ovens and microwave) provide the engine room for this kitchen, along with a Miele hob, F&P French door fridge. 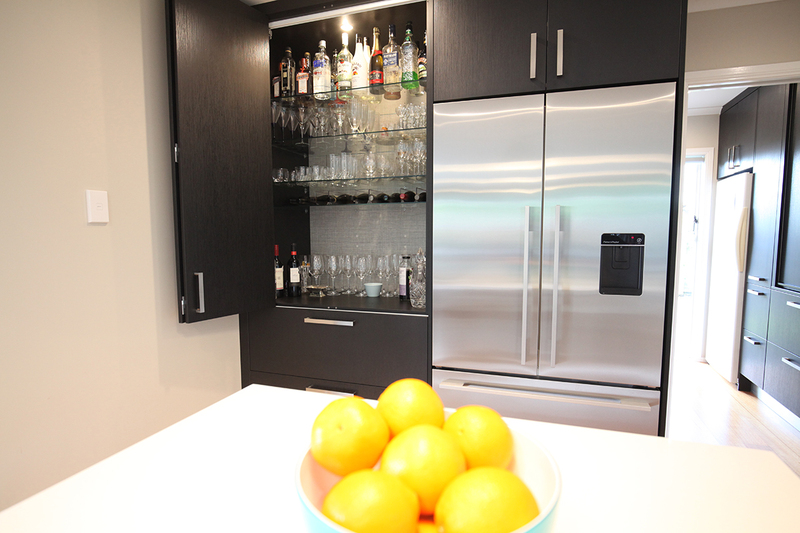 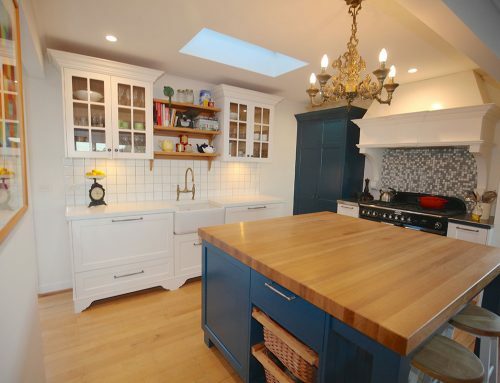 This fully-featured kitchen also features a Cocktail cabinet with LED lighting and glass shelves. 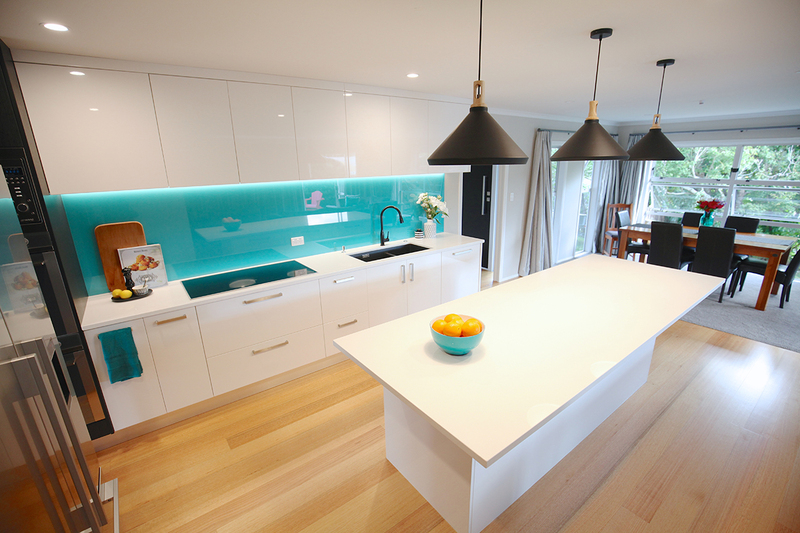 LED strip lighting runs above the cooktop/sink bench. 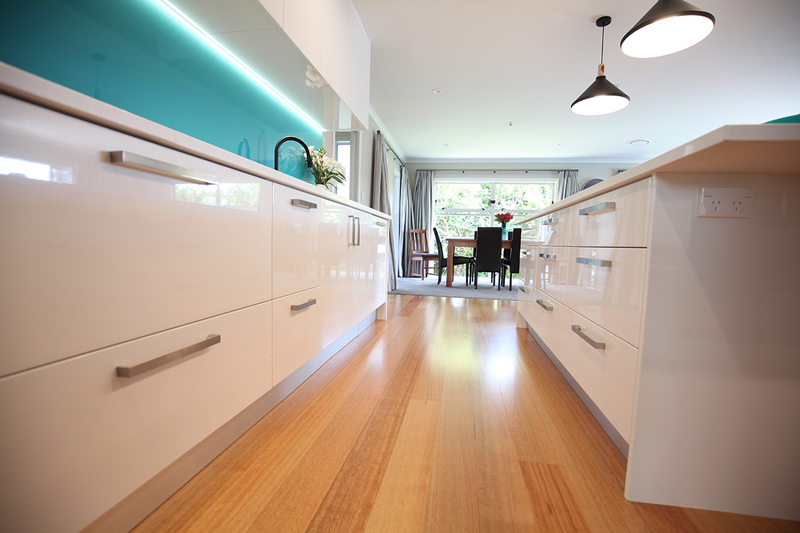 The Scullery has a Sage roller shutter door pantry, and a bench dedicated for additional appliances.